Steck Manufacturing Company was started as Steck’s Paint & Body Shop by George Steck in 1946. George went into manufacturing in the late forties when he and a partner developed a fastener used to install rear fenders. Steck has continuously manufactured tools and equipment for the collision repair industry in the same location in Dayton, Ohio for over fifty years. George Steck’s original body shop building is still part of the Steck Manufacturing complex, and Steck still operates a body shop for research and development purposes. Steck is continuously developing new products and looks to technicians in the field for new product ideas. Steck will pay royalties to technicians for new product ideas that we use. If you have made up a tool that solved a problem for you, it will also solve that same problem for other technicians. Necessity is the mother of invention. Steck can refine and market your idea and will pay you a royalty. Contact Steck by phone or e-mail. We will send you information about our Invention Submission Program as well as the names, addresses and telephone numbers of other technicians who have sent in ideas that we have used. 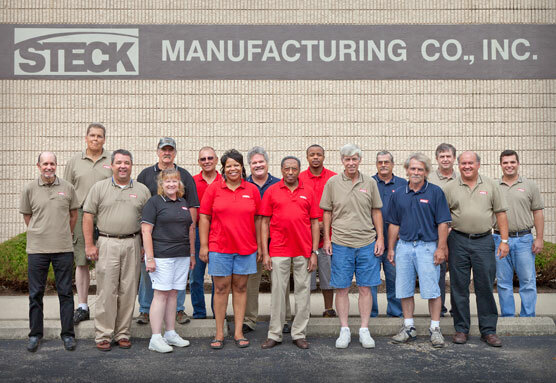 You can talk to these inventor/technicians about how well Steck’s program has worked for them.